The international compensation regime established by the Civil Liability and Fund Conventions applies to spills of cargo or bunkers from tankers, but not to bunker spills from other classes of ship. Oil pollution from ships has not been caused solely by oil tankers. Though oil cargoes can be spilt only by tankers, spills of bunker fuel are significant for a number of reasons. Oil tankers account for only a limited part of the world’s merchant fleet. Ships in other classes are far larger in number, and cases of bunker oil pollution, or a threat of it, have likewise been more numerous. The grounding of the bulk woodchip carrier New Carissa on the US West Coast in 1999 (left) is one example of an emergency response to a bunker pollution threat. Another reason is that bunker fuel oil is relatively heavy and persistent. A limited quantity of heavy fuel oil can be as damaging, and as expensive to clean up, as large spills of oil cargoes of lighter grades. This is particularly the case in cold and remote environments, as was shown by the grounding of the bulk carrier Selandang Ayu in the Aleutian Islands, Alaska, in 2004 (right). 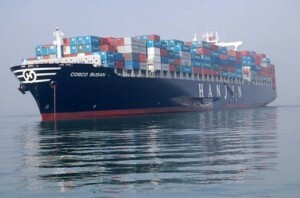 The quantities of bunker fuel carried on large modern cruise ships, container ships and other dry cargo vessels are comparable to the cargo carrying capacity of many coastal tankers. The 200 tons of fuel oil spilt by the container ship Cosco Busan in San Francisco Harbour in 2007 led to one of the most expensive clean-up operations of modern times. 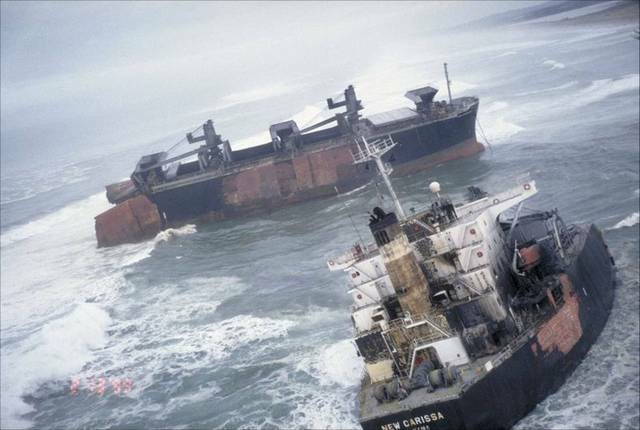 The scope for bunker pollution to cause significant damage led the IMO to adopt in 2001 the International Convention of Civil Liability for Bunker Oil Pollution Damage. This came into force in 2008. The Bunkers Convention has a number of features in common with CLC 92, including the framework of the shipowner’s liability and a similar regime of compulsory insurance and certification. 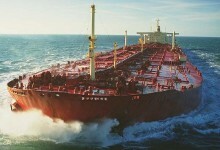 However there are some important differences: unlike CLC 92 the Bunkers Convention is not supplemented by a second-tier fund financed by oil receivers; it contains no channelling provisions to exclude or restrict liability of parties other than the shipowner; and it has and no integral system of limitation of liability. Limitation of shipowners’ liabilities under the Convention depends on linkage to any applicable national or international limitation regime, such at the 1976 London Convention on the Limitation of Liability for Maritime Claims (LLMC), as amended. 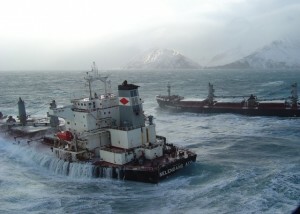 A number of complications are involved in this linkage: some relate to costs of owners’ preventive measures; others to the types of pollution claim for which liability may be limited; and others to the effect of limitation in incidents involving both pollution and other maritime claims. See Limitation of liability. Though the regime of compulsory insurance under the Bunkers Convention is in principle similar to that under CLC, here also a number of additional complications have had to be considered. See Compulsory insurance. Pollution from ships’ bunkers is a subject addressed in Chapter 6 of Shipping and the Environment, whilst limitation of liability for pollution is examined in Chapter 22.